Douglass marries Helen Pitts, a white woman who had been his secretary when he was recorder of deeds. The interracial marriage causes controversy among the Douglasses' friends, family, and the public. 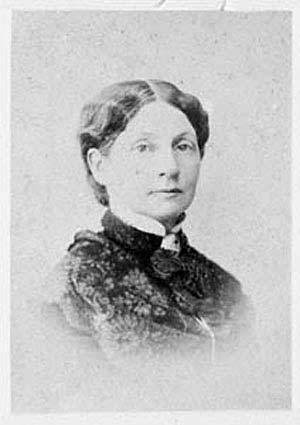 Douglass' first wife, Anna Murray Douglass, died on August 4, 1882. After a year of depression, Douglass married Helen on January 24, 1884. They were married by Rev. Francis J. Grimké, who was also of mixed ancestry. Despite the fact that Helen's parents, Gideon and Jane Pitts, were abolitionists, they were against the marriage because Douglass was the son of a white father and an African American mother. The marriage was generally the subject of scorn by both white and African American residents in the town, though the Douglasses were firm in their convictions. "Love came to me, and I was not afraid to marry the man I loved because of his color," she said. Douglass laughingly commented, "This proves I am impartial. My first wife was the color of my mother and the second, the color of my father." A main source of support was Elizabeth Cady Stanton. Helen and Frederick were married for eleven years until his sudden death from a heart attack in 1895.